Jimmy Moore has been on a ketogenic diet for 12+ years now, but it seems to have stopped working. Too much bacon, not enough potatoes? Mark Sisson is the guy responsible for my health transformation starting in 2010. Someone turned me on to Mark’s Daily Apple and his Primal Blueprint books, and there was no looking back. Mark has advice for everybody from the morbidly obese to the world-class athlete. Now Mark has a new book soon to be released, The Keto Reset Diet; Reboot Your Metabolism in 21 Days and Burn Fat Forever! I can’t wait to read it when it’s released in October 2017. If this is truly a short-term reset diet, it will be a big step up from the long-term keto diets currently being sold to the public. It’s time for me to get on board with this keto craze! While most keto-gurus are touting high fat to get into ketosis, guess what also works…POTATOES! That’s right folks, eat nuttin’ but spuds for a couple days and you will be IN KETOSIS! Potasis, ketatosis, spudogenesis, ketuberos, whatever you call it, it happens. Like magic! It turns out that to be in ketosis, that is, “a metabolic state characterized by raised levels of ketone bodies in the body tissues,” one needs not eat high levels of fatty foods, one can also eat high levels of potatoes. You see, when you are eating less than your body needs, your body automatically switches to creating and burning ketones from your bodily fat stores. Fat is just a red herring. If you overeat typical keto treats, you will not lose weight, but gain. And there are no end of these ketogenic diet treats available nowadays! After about 36 hours of eating a simple potato-only diet, you will be in a state of ketosis. Don’t believe me? Then buy some tools of the trade and measure for yourself, all you’ll need is “Ketostix” or a fancy-dancy ketometer. Using these simple devices, you’ll quickly learn how many potatoes it takes to keep you in a constant state of potatosis. If you are not big on technology, you won’t need these. Just look for clues: Are you losing weight? Are you eating fewer calories than you need to maintain weight? If you can answer “yes” to these questions, you are in ketatosis. Now you might think I’m joking, but I’m not. Test it out for yourself. The Ketogenic Diet being sold around the internet is nothing more than a calorie-restricted high-fat diet. But the truth is, ketosis can be found not just with an ultra-low carbohydrate intake, but a diet that consists of nearly 100% carbohydrates. If you are in ketosis, you are in a fat loss mode. But, if you eat lots of fat, you can overeat and still be in ketosis (according to the meter and sticks). This is fake ketosis. Just because you have ketones in your blood and urine means little if you are eating excess calories. Most of the supplements sold, ie. exogenous ketones, are simply designed to fool you into thinking you are in a weight loss state. The only way a ketogenic diet will work for fat loss is when there are fewer calories coming in than you need to maintain your weight. Period. This can be done with a high carb diet just as easily as high fat…but I doubt that’s going to be in any keto book soon. I consider the write-up on Mark’s book to be utter hype nonsense. I played with Atkin’s Diet in the ’90’s. Ketosis was a big part of it. My Ketostix would show I was in ketosis pretty much no matter what I ate as long as it was very low calories, or very high in fat. The low cal keto led to weight loss, the high fat not. To me the “eat fat” part is just a red herring, nothing to do with weight loss, just tricking the Ketostix. Wow Tim! Talk about turning the Ketosis thing on its head. Well done. So, Jimmy Moore gained his weight back, and is continuing to guru his followers? What’s going on there? It’s all about marketing and addiction to the money it drives in. Sadly. Keto diets are a marketer’s dream. Tons of supplements, books, even cruises. I take one look at Jimmy Moore and run. Glad to see this common sense discussion of ketosis. It is simple, really! Yep. Simple biology. No magic. In actuality, they should be calling it a ‘Ketosis Mimicking Diet.’ When you eat mainly fat, even overeating, and take endogenous ketones, you will have high levels of circulating ketones in your bloodstream. This may have therapeutic value for epilepsy or cancer, but it does not guarantee weight loss. A true ketogenic diet would keep you in ketosis while eating ample carbs and protein as well, but at levels that cause a calorie deficit. This is, in fact, now being called a ‘fasting mimicking diet‘ and is being used in medical interventions. This is more of a true “keto” diet than anything that Jimmy Moore or Mark Sisson will dream up in an effort to further the low-carb narrative. Ha, just read thru a couple of posts on Ketosis at Mark’s Daily Apple and I was wondering what Tim would think of all this. What do you know, potatogenic diet! I remember reading in low carb books that measuring ketosis may provide some kind of short term reward incentive, i.e. “proof” that something is working, but ketosis in and of itself does not create any bodyfat loss advantage beyond that achieved by a calorie deficit. Still true? Yes, I think that makes sense. Any time you painstakingly measure things like exercise, calories, weight, or whatever you are more likely to see good results than if you just guess at it. Although, the overall goal needs to be that we get really good at estimating what we need so that we are not slaves to counting every morsel or movement. Hypothetically, all else being equal – if three people were gathered for a weight loss challenge and for 30 days, person 1 ate a 100% fat diet, person 2 ate a 100% protein diet and person 3 ate a 100% carb diet – and all 3 diets provided the same number of calories – in this hypothetical world, all 3 people would lose the same amount of weight, right? If they all had the exact same metabolism and burned calories at the exact same rate, then hypothetically yes. However, the 100% fat group would starve their gut flora leading to short term loss of about 5 pounds of bacteria as they crap themselves silly. The 100% protein group might end up with “rabbit starvation” aka protein poisoning https://en.wikipedia.org/wiki/Protein_poisoning, and lose weight through dehydration and diarrhea. The 100% carbohydrate group would probably fare the best, health-wise. Hypothetically speaking. One thing that dawned on me from your two comments, Dan…when tracking calories, a diet high in fat would be easiest to track since fat is very standard in it’s calorie content. When you eat meat, you get fat and protein, when you eat plants you get carbs, fat, and protein. On a mixed diet, it’s VERY hard to track calories within 10% accuracy, except for spoonfuls of butter and coconut oil. These you can track with astronomical precision. Hi Tim, I just bought your book. I found it really interesting. Love seeing the results of experiments you and others have done. I have been reading all the old comments from Free the Animal, VeggiePharm and this website. It resonates with me because back in my 20s I stumbled across the “potato hack” after a chef told me that mashed potato was filling and stopped you feeling hungry. I tried it and noticed that Iost my incessant hunger and so tried a few days of it. I lost weight really easily without being hungry. I did it a few times – I used to use a little milk when I mashed the potato though. I sort of forgot about it in my 30s and 40s and recently did the LCHF ketogenic diet for a couple of years – bad move. In the end I just became bloated and I gained weight – at the time I didn’t understand why but see now that it was probably because it killed my gut bacteria. It gives me hope that you and a few others have done similar things and are better. I am just hoping that I didn’t starve and make too many good bacterias extinct!! So I was really interested when I came across your blog and the blogs you comment in and your book. I am hoping that the potato hack will work the same as it used to for me. I think I have read in your book (or one of the comments) that potato has probiotics deep inside? (I will see if I can find where I read it.) I have tried googling that and haven’t been able to find anything more about that? Is it just me misreading? Fiona – It’s true! There are microbes living inside potatoes, and all plants for that matter. I apologize if it sounds in the book like this is special to potatoes. While it may be special in the exact microbes that are inside a potato since these microbes are adapted to the potato, and then we eat the potato. 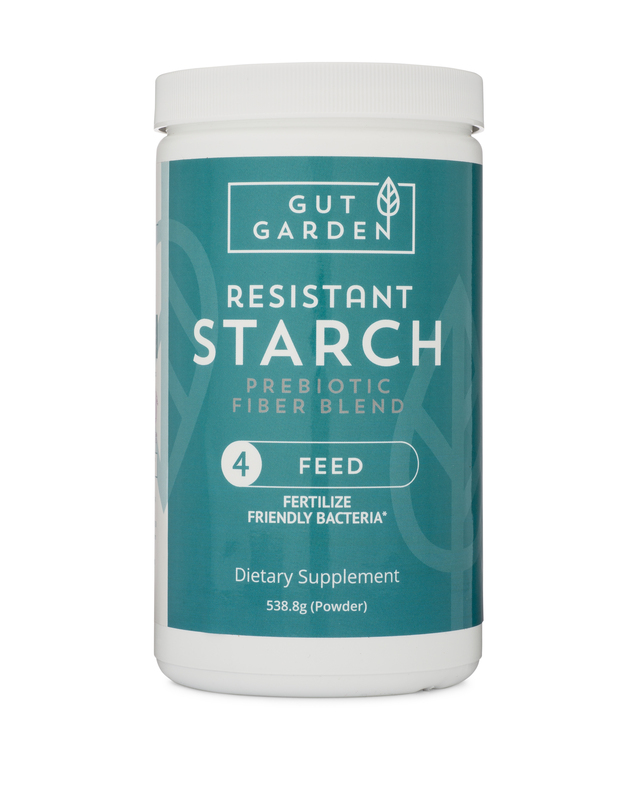 Starch has played a huge part of human evolution, so it makes sense that “endophytic” bacteria (and fungi) found in a starchy food would be classified as a probiotic. Scientists are just now seeing the importance of the bacteria found in/on the foods we eat. That is really fascinating Tim. Thank you for the article. It would make sense that the microbes in the potato may be uniquely beneficial for us and create particularly positive diversity in the gut as so many people report feeling better and as your N=1 shows?? Hi again, I have another question. In the book you mention ruminococcus bromii as being a sort of precursor to bacillus and bifidobacteria. Is it rare not to have this microbe? Are there other ways that bacillus and bifidobacteria can be fed or is it only from this microbe? Would it be worth sending a sample off to a lab to get tested or are there other symptoms which indicate no ruminococcus bromii is present in the gut? I wonder what the specific microbes are inside the potato?? Could it be possible that they would be ones like ruminococcus bromii or similar ones?? Maybe it could be one of the reasons that potato juice seems so beneficial and healing – because it adds these sort of bacterias back and the RS help these get further down?? Potato juice isn’t close to my favourite but I thought it may be good to add it for a while and see what benefits come from it also? The food aspect of the gut is so interesting – I wonder if the mind aspect is just as complex. There is a study I have read about (could have even been on one of the blogs of FTA or yours??) that show that puppies taken from their mother showed symptoms of trauma (more crying was one but I am unable to remember all of them) and that their gut bacteria changed in a negative way. When the puppies were reunited with their mother their gut bacteria didn’t get better and the symptoms of trauma remained. The researchers then gave the puppies the gut bacteria they were missing and it was only after their gut was back to normal that their symptoms of trauma stopped and they behaved as normal puppies do. I am studying counselling and our teacher mentioned that there is a window of time wherein longterm damage from trauma can be minimised or stopped if the right support and counselling is given. I wonder if changes to gut bacteria are involved in that also. ?? Fiona! Wow, that’s a lot of questions, lol. Sorry if I don’t have all the answers. R. bromii seems to be one of those universal gut bugs that everyone has, but it is very beneficial and will increase in response to eating more potatoes. In this paper, they found: “Microbiota analyses revealed that the relative abundance of RS-degrading organisms—Bifidobacterium adolescentis or Ruminococcus bromii—increased from ~2 to 9 % in the enhanced and high groups, but remained at ~1.5 % in the low group.” ( https://www.ncbi.nlm.nih.gov/pmc/articles/PMC4928258/ ). I doubt you have to eat potatoes to acquire R. bromii, but it will appreciate it if you do. There are still lots and lots of unknowns as to where all these bacteria come from, some come from Mom, but others are gained through eating and living. Your remarks on potato juice sound reasonable, even though not generally considered “probiotic,” potato juice undoubtedly contains bacteria that are helpful to us. These were from a PubMed search for “Brain-Gut,” you could refine the search further to find more specifics. Just keep in mind when reading…when they talk about a healthy gut and microbial diversity, it’s as easy as a potato to get. Thanks for the questions, hope this helped! I have been adding PS, inulin and baked and cooled potatoes for the last 3 weeks and have had good results so far – less binging and able to go a normal amount of time between eating, more focus on tasks. I am starting a proper Potato Hack next week with my husband and am looking forward to seeing what results from it. Really interesting! Tbh I was never too interested in ketosis for fat loss as I’ve always maintained my weight fairly easily. However the anti cancer/ autophagy effects I was interested in. 1. No preferential feeding of healthy bacteria. 2. No SCFA – gut PH goes less acid/ more acid. This allows yeast to go fungal/ hyphal. 3. The ketones preferentially feed the yeast/ fungus. I do still like a weekly fast and may throw in an occasional potato hack, but aiming for deep ketosis either through longer fasts or high fat is out! Typo! – Less acid/ more alkaline! Hi Tim, Chris Masterjohn did a podcast on how adding MCT oil to a high carb meal (mashed potatoes or even pasta) is more ketogenic than restricting your carbohydrates to ten percent of calories. Keep up the good work! Tim–another great post, and I wish I could make all the ketomaniacs read it!. I just wanted to mention another benefit I’ve discovered recently for RS and other prebiotics and probiotics, and that is the ability to improve bone mineralization and bone density. I have found various scientific studies that demonstrated this in animals. You may be aware of this, but I was not. And I love the idea that potatoes and other sources of RS could help people avoid osteoporosis drugs! Curtisy – Yes, so it would seem that fiber is an important part of bone health: Diet, Gut Microbiome, and Bone Health. I remember reading about calcium absorption and other effects of fibers/RS, but never really put it all together as it would relate to osteoporosis and bone health. Good find! Well that just kind of goes without saying, lol. Anytime there is a benefit associated with fiber, it’s actually the microbes doing the work. Cool stuff! Tim – Personally, I completely trust that you’re giving accurate information regarding ketosis, but for the keto proponents in my life who aren’t familiar with your work, could you recommend an “official/science-minded” article or two? I’m particularly concerned for the health of one of my friends, and I want her to be as fully informed as possible. Thank you! Hi Cheryl – I have pretty much stopped trying to talk people out of doing keto or low carb diets because they usually follow a typical pattern that I have observed over the past 7-8 years. Initial weight loss followed by long stalls and then weight regain. If the person does not adhere strictly to the diet, the results are disastrous, and a ketogenic diet is possibly the single most difficult diet to follow. In real life, you very rarely see anyone following an LC/keto diet for more than a year at which point they realize their mistakes and move on to another diet. Sadly, most people in this spiral never learn to eat properly or exercise wisely. I feel lucky that I was able to escape the pattern and have maintained my weight well by eating a mainly whole-foods diet (avoiding processed foods) and a year-round exercise program. Here’s another paper by a doctor who studies long term effects of ketogenic diets for epilepsy: Danger in the Pipeline for the Ketogenic Diet? Thank you, Tim! That’s exactly what I was hoping for. I also tend to avoid trying to change people’s minds, but this particular friend is very open and appreciative when I share information. Yeah, just fast or eat very low cal for a few days, anything along these lines is ketogenic. A shame that the super high fat diet is also ketogenic. To me, it simply means that we are not supposed to eat an insane amount of fat! Yes, most people potato-hacking are doing it for weight loss. A few people I know do it for gut health, though. I think if you eat mainly potatoes and add some butter or cook with oil you’ll add in the calories you need. Back in 2010 when Dr. Voight did his 60 day potato diet, he found that he had to add in a couple spoonfuls of oil per day to keep from losing too much weight. I’m not a big fan of most oils, especially the vegetable oils, ie. canola, corn, but olive oil, coconut oil, or butter should be fine. Alternatively, you could also add in some other gut-friendly foods such as oatmeal, beans, or rice. Milk and honey should also fit in nicely here. But for the most “bang” you will probably want to make sure to eat mounds of potatoes with every meal. Lawasky, you’re not alone. I’ve been working on my gut for at least five years – prebiotics, probiotics, herbs, diet – while trying to avoid losing weight. The Potato Hack has been and continues to be an effective component. I’ve done a few 3-day hacks and will likely do more from time to time. Mainly, though, I simply have a potato dinner at least 5 days a week. (The other dinners are often a large salad, oats, or popcorn. Lunches are normally rice, veggies. legumes, and a very small amount of animal protein.) To maintain my weight I add some fat to the potatoes, usually in the form of avocado or olive oil, and spice things up with onions, mushrooms, pureed veggies and the like. These additions haven’t seemed to interfere with the potatoes’ gut magic. At the outset, though, it might be a good idea to be as strict as you can. Maybe just potatoes, beans, oil, and seasonings for a while and then add other things. If you’re working on your gut, you might also try occasional fasts of 30-40 hours. I did them once a week for a long stretch. They were very helpful, although it was a struggle to eat enough on other days to keep my weight up. Eventually it became too stressful and I switched to an 8-hour eating window every day instead. By then the fasts in combination with other measures had done the job well enough that eliminating them didn’t cause any negatives. I hope you’ll report the results of you Potato Hack + Elixa experiment. How does the potato hack work with histamine tolerance since we are advised to now eat any left overs …or things sitting in the fridge for anytime…and the potatoes need to sit…can you advise? Most people do not have issues with histamines from leftover potatoes, but if this is a concern of yours, all you can do is try and see. Anybody who is following a ketogenic diet for weight or fat loss needs to know the reasons why it works. All of the foods that are keto friendly have either little to no insulin response. Insulin has many purposes in the human body, but 1 of them is to store energy as fat. If you are eating keto friendly foods and you are eating them more than 3 times a day, you are going to have a hard time tapping into your own fat stores, just because of the insulin response your body has. If you want to tap into your own fat stores, you need to condense your meals into an 8 hour window, or less, This will allow your body to lower insulin enough so if can be released into your blood and converted into ketones for fuel. If you are eating a bunch of small keto friendly meals, you may achieve ketogenisis, but the ketones your producing are from the food you are eating and not from your stored fat. If you are eating a lot of each of those meals, you may still be in ketosis, but you may still be storing fat. Curtis Blevins – What you say may be true in a textbook sort of way, but in real life the keto diet fails. People are led to believe that all carbs are the problem, so they restrict needlessly and attempt to adhere to a diet that is completely against human nature. There are no populations who ate this way, ever. Why should we think we can? If it were as simple as you say, there should be loads of long-term success stories, most that I see are very short term (ie. Jimmy Moore), or endorsements by naturally fit people selling a keto plan, products, or book (ie. Mark Sisson). I tell people to try, if they like, but not become ensnared into the lifestyle if it does not show quick and lasting results and is easy for them to adhere to. I have met very few people who enjoy the keto life, and most fall off the wagon in dramatic ways. The keto salesmen are selling a dream. And sells it does, just like most diet plans devised by the diet industry. If they worked as advertised, they’d put themselves out of business. These plans rely on selling people what they need to get some quick weight loss and to keep them coming back when they regain. The potato hack diet I have popularized puts the person in charge with nothing to buy but potatoes, one of the cheapest foods you can get. When people realize they can lose weight afterall, it gives them courage to experiment with eating in new ways. 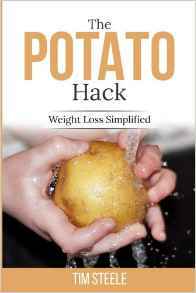 One group of people who have really (surprisingly) embraced the potato hack are professional female body builders. This is a group that knows what works and will not waste a minute on anything that does not produce instant results. I doubt you will find any pro FBBs on a keto diet, but they love a diet that consists of nearly 100% carbs. Can we learn from this? I’m a member of several female bodybuilder groups on Facebook. Today an elite trainer made these comments that I think are very pertinent to keto dieting and dieting in general. It points to the fact that how you look is sometimes out of our control no matter how perfectly you do things. “To those who get a glimpse of what this lifestyle entails, I suggest you walk away. Choose a different lifestyle, one that is calm and simple. Be satisfied to live life enjoying simple pleasures with your loved one. I know you want it bad. I do too. That is, I want to be healthy enough to build my body just for me, not to stand on a stage and be judged by any knucklehead. Of course I think I’d look phenomenal covered in muscle, but the truth is, most people who go for competition just don’t have the genetics to win no matter how much muscle they pack on. Their bodies will always look malformed. They just want it so bad they can’t admit it. I think you may of missed my point. The only way anybody uses their own fat for fuel, is when their hormones allow it. It’s why type 1 diabetics lose weight no matter how many calories of carbs, fats, or protein they eat, all because they don’t produce sufficient insulin, if any at all. It’s also why most type 2 diabetics put on several pounds when they start insulin, no matter how little they eat. If somebody wants to lose fat, they have to address what they are telling their hormones to do. If that’s through Keto, intermittent fasting, potatoes, or exercise the only way it will work for them long term is if hormones are accounted for. I typically recommend people eat as naturally as they can, eliminating processed foods and added sugar. I also recommend intermittent fasting for helping with insulin resistance and its effect on growth hormone. I know Tony Freeman isn’t female, but for being professional body builder for over 20 years eating Keto, it is possible. It may not be ideal for most, but it is possible. Personally, I have lost over 60 lbs and cut my body fat in half, twice. The crappy part about my whole story, is I gained most of my weight and fat by doing what I thought was eating healthy. As far what human populations eat, there has been a dramatic change in the past 70 + years. Prior to 1920, most of our caloric intake came from fats and protein, both are essential for human survival. Since then we have consumed more non essential calories from carbohydrates and increasingly from refined carbs without their natural fiber. That’s why we have seen obesity rates that have sky rocketed. I have looked at the insulin hypothesis of obesity and think it has too many holes to be of much use for most people. Not all T1Ds are skinny and not all T2Ds on insulin are fat. I do not think it is necessary to avoid insulin spikes if one is metabolically healthy. Even on a keto diet, you cannot overeat and remain lean. if what you say was always true, anyone could overeat a keto diet and not get fat. We all know that is not the case, one still must limit calories no matter the diet of choice. If there is a “calorie advantage” to a keto diet, it is surely on the magnitude of 100cal/day or so. As I said in the post, you can be in ketosis eating potatoes under your caloric needs. Ketosis while eating a calorie surplus is a weight-gain diet. Agreed, not all dietetics fit the mold, but most. Also agree that you can’t overeat on Keto, I am pretty sure I pointed that out in my first reply. For Keto or any diet to work, you have to account for hormones. Even eating Keto, your body will have insulin responses. I also agree that it is good to have days of higher insulin followed by days of lower insulin. It helps break insulin resistance and prevents homeostasis. There isn’t calorie advantage. You are either in a state able to store fuel, or in a state to use your fuel. There are many ways to switch states, find what works best for you. But it’s sold as an all-you-can-eat diet, the mecca of weight loss. I think it’s too restrictive and too hard to comply with to be of use as a calorie-deprivation tool. And with glycogen stores continually depleted, it makes carb orgies extremely troublesome. The old CKD diet seemed better. I am not sure it is true that people ate predominately protein and fat before 1920. I think people ate less processed food before 1920. But people still ate carbs in the form of wheat (bread), rye, corn, tubers, legumes and beans, fruit and vegetables – depending on where on the earth they lived. Some may have had a little more protein and fat and some more starchy foods depending on what was available. I did the ketogenic diet from Aug 14 to around Aug 15 and then I crossed over to zero carb to about August 16. I initially gained weight and then around Feb 15 I added green bananas, plantains and potato starch (after reading the info on FTA) and kefir and sauerkraut – I think this made all the difference – my weight normalised. When I went zero carb I stopped all these and it was a disaster – I felt worse and worse and gained around 4kg of fat that I am hoping to get rid of. I can’t believe it took me so long to stop that experiment. Since August 16 I have been eating an unprocessed diet including protein, fats, vegetables, fruit and rice. About 6 weeks ago I added potato and other RS starches. I feel sooooo much better and have really good energy – my crazy ravenous appetite/hunger has gone but I haven’t seemed to be able to get rid of any fat yet!! I did the potato hack too – and nothing!! Maybe I need to be happy about having good energy now and the fat loss will happen later. Could I have done some damage that will take time to heal? Tim, I remember that you have posted about you doing the ketogenic diet and that your thyroid was playing up and has since normalised. Do you remember how long it too for you? I think I also read the Karl from Elixa did the Zero Carb for a while too. I am hoping I didn’t do too much damage to my gut bacteria and totally eradicate some that I really needed. Wow, people are actually reading these comments! Thank you. And thanks for the great observations and comments. I agree, many cultures/countries ate lots and lots of carbs, not “protein and fat” as described. I always think about the cowboys of the Wild West carrying big bags of dried beans because they had no way to keep meat or dairy fresh. I think I shall go make a batch of John Wayne’s corn dodgers in remembrance of this, lol. To answer the rest of your questions, I doubt you did any permanent damage. Just try to get a really long stretch of eating “right” behind you. Get everything else tested by a doc if you have concerns. My thyroid is a tad low, so I take Synthroid. Sometimes you just gotta play the hand you were dealt, but eating good foods and exercising is a good way to put the odds in your favor. Thank you Tim 🙂 Good to hear it is doubtful I did any longterm damage. … It may just be that I need to have a longer stretch of eating right before I can drop some fat – I have much better energy now. I really enjoy reading your comments on all the blogs – I find them insightful and interesting. My point about prior to 1920 was most caloric intake came from fat and protein, but not quantities eaten. The point of my reply to the original post is that our hormones control every system in our body, even fat loss, or weight loss. People who eat ketogenic foods, more than 2 or 3 times a day, will most likely NOT lose weight or burn their own fat for fuel. In most cases, this is true for any diet that has you eating more than 3 times a day. The fastest way to lower insulin, and have positive impacts on most of your hormones is fasting. Either intermittent, 24 hours, or prolonged fasts. Ask your doctor about it. If you want more information about it before hand, read the “Obesity Code” by Dr. Jason Fung. Good luck in reaching your goals! Hello!At one point my diet was 5000 calories of butter and fatty meats.no energy,bad sleep but no weight gain.when i changed the diet and added carbs my calories were 3000 and my weight increased.My appetite increased a lot when i added fruit.How can this happen if calories in-calories out matter? Another argument is when you cook the potato the starch is digested and the resistant starch decreases,correct?.So is it possible that eating cooked potatoes regularly works on weight loss by improving insulin sensitivity and has nothing to do with gut bacteria? Walter voegtlin on the stone age diet book writes that when no carbohydrate reaches the colon,no acid is produced and the resulting alkaline reaction of the colon is very much to the liking of these organisms.Any thoughts on this? And the argument about the RS:When you get sick for example and start fasting,you heal quicker.so immune function is better without feeding any bacteria in the gut.Then why you need RS if fasting can do the trick? i would suggest that when you were eating 5000 calories of butter and fatty meat, you were pooping out most of the fat undigested, and destroying your gut flora in the process. When you added carbs, you were replenishing your starved body started storing fat. Obviously, from this scenario, 3000 cal/day is above your caloric needs. Calories in/calories out matters, but it is no simple feat to accurately measure both ends. Walter Voegtlin is sadly mistaken if he believes a higher pH is better for the gut than the slightly acidic (lower) pH that results from eating fiber-rich foods. Perhaps in a cat or wolf, but not in a human. It’s been well-studied for decades that friendly/beneficial bacteria prefer a pH of 5-6 and that pathogens thrive at more alkaline numbers, (see: The Impact of Diet and Lifestyle on Gut Microbiota and Human Health (2015) for instance). thanks for the information!Anyway i am gonna try the hack.I want to see if the weight will increase after the hack on a normal diet.Maybe jimmy Moore regained the weight because after some time on keto,appetite increases again. Thanks for the video, I’d forgotten all about Seth Roberts (may he rest in peace). I think there is something to weight-setpoint theories, and the effect of processed, tasty treats on the setpoint. If this is true, the potato hack seems to also bridge the gap to lower our weight setpoint. The biggest problem I see with “diets” is that nearly every person is unique in what caused the weight gain. There are as many metabolism combinations as their are people on Earth it seems. On the one hand I’m shocked over the greed and dishonesty, but on the other hand, nice that potato starch is once again proven to work! Yes, a total scam…just potato starch. Nothing special except the price. Now, if you re-branded your book, called it the “Solanum Tuberum Hack”, an ancient South American herb, causing people to lose up to 2 pounds a day… It might just sell like crazy! I understand this is an old blog thread, but I only just red your book that I purchased from audible. It was good but I wanted to get a better picture of your idea on ketogenic/low carb diets and how they fit into your world view. Which I have partially found on this thread. Around 9 months ago I went on a low carb paleo diet and then to a full blown keto diet some months after. I never got the impression that calories don’t matter, rather the opposite. I watched and measured my foods pretty well. In total I lost around 25-30kg accounting for glycogen and fat loss. All vitals (except for LDL cholesterol which fluctuates) improved. I might add I was adding 3 table spoons of unmodified potato starch to the diet too – I knew about RS due to your appearance on Tom Naughton’s site. Im 3 days into my first potato hack. Not because anything has inherently gone bad on high fat keto. Everything on a high fat diet has gone well, really well. But I guess I was anxious that there could be long term problems. Felt “safer” trying this just to cover my bases. Anyways I’ve counted calories on this and im consuming roughly 1200 a day. The only negative side affect with keto was that despite not being hungry on 900 to 1200 calories a day I found it hard to fall asleep. With potato hack im out like a light. So thank you! I might make extreme low calories days potato hack and stick to around 1700 on keto. Do you think there is anything inherently wrong with paleo/atkins/keto? It calories are properly measured. Aside from the lack of RS? I plan to jump in and out of high fat keto with this potato hack regularly. As well as have all out cheat days and fast days. From your point of view is there anything inherently unhealthy about doing this? Im still puzzled how this works – I know it makes one highly satiated but I don’t understand the mechancism. Carbs are usually like a botttomless pit for me – eat them, want more. You mentioned other hacks tuber/bean hacks dont work. It can’t just be the RS. If we ate unlimited deep fried french fries that were cooled and had RS I doubt it would work. Mystery as it may be – it does work. So I guess that is the important thing. Thanks once again! Im amazed at how easy this is. Please read, “Eat Fat, Get Thin” by Dr. Mark Hyman. Respectfully, there is far more to keto genesis and healthy nutrition than the above. It becomes a healthy nutritional lifestyle choice, hopefully not a diet. My regular intake consists of Kale, broccoli, Brussels sprouts, cauliflower, garlic, onions, leeks, cabbage, Napa cabbage, bok choy, collards, turnips, mustard, chard, dandelion, radish, bell pepper, mushrooms, nitrate/nitrite free bacon and pepperoni, grass-fed beef, cage free chicken, rabbit, wild caught salmon, venison, cage free eggs, avocados, olive oil, avocado oil, almond oil, ghee butter, heavy cream, sour cream, full fat cottage cheese, whole milk Parmesan, whole milk mozzarella, almonds, pecans, pumpkin seeds, sunflower kernels, apple cider vinegar, occasional potato with fat and protein added. And more…Not a very restrictive diet. I don’t need supplements. I don’t use or need keto sticks. I’ve lost over 50 pounds and lowered cholesterol, blood pressure, inflammation, increased HDL, reduced joint pain, and increased energy and stamina. Ketones for energy source is better for the brain. (Dr Wm Davis-UCLA research on Alzheimer’s cure 2014). I’m not sure I would have these benefits long term, just eating potatoes.